On Wednesday, March 28, 2018 at approximately 1:29 P.M. Jasper County Sheriff’s Office received a report of a traffic crash on US 231 just south of County Road 1600 North. Upon arrival of Jasper County Sheriffs’ Deputies and other law enforcement agencies it was discovered that the crash was a head on collision involving a passenger car and a pickup truck. Investigation would reveal that a 1999 Chevrolet Lumina was being operated southbound on US 231 by a Christopher Wells, age 41 of Demotte, Indiana. 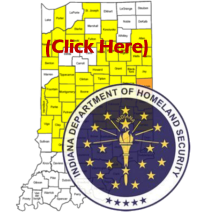 Traveling northbound in the same vicinity was a 2013 Ford F250 Super Duty being operated by Thomas Haberlin, age 53 of Hebron, Indiana. Witnesses and Mr. Haberlin advised that suddenly the southbound Chevy passenger car drove into the northbound lane of travel just before the two vehicles met. Mr. Haberlin braked but was unable to avoid the oncoming passenger car which resulted in a head on collision. 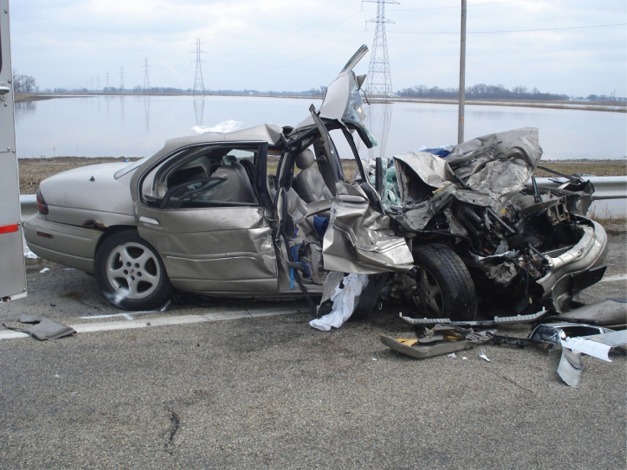 The force of the collision trapped the driver of the passenger car (Wells) and his passenger identified as Stephen Fox, age 26 of Demotte, Indiana. Keener Fire and Rescue had to extricate both Wells and Fox from the passenger vehicle. Upon extrication Wells was flown from the scene by Medivac Helicopter to Christ Advocate Hospital in critical condition. Mr. Fox could not be saved and was pronounced dead at the scene. Mr. Haberlin and his passenger were treated and released at the scene. Sheriffs’ Narcotics Investigators traveled to Christ Advocate Hospital where a blood draw was completed on Mr. Wells. Preliminary investigation revealed Wells was traveling back to the Demotte area after having received methadone treatment. Investigation on the blood draw and other matters of evidence continues by Jasper County Sheriffs’ Deputies. Assisting at the scene were units from Indiana State Police, Demotte Police Department, Jasper County Coroner’s Office, Keener Fire and Rescue, and Keener Paramedics. US 231 was re-opened to traffic at approximately 3:10 P.M. No charges have been filed in this case as of today’s date due to on-going investigation.